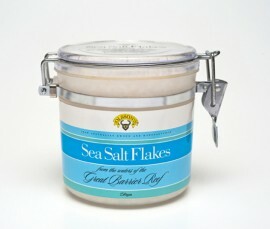 Olsson’s Sea Salt Flakes soft, sweet and delicate. This product is made from the pristine sea waters of the Great Australian Bight, is completely natural, chemical and preservative free and retains an exceptional sea salt taste. Makes a great gift. Comes in special clamp down container.